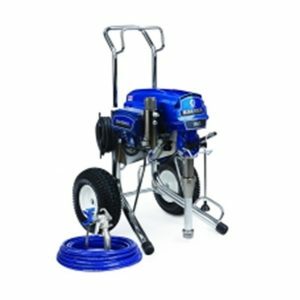 The Ultra® 395 PC’s reliability and performance has made it Graco’s most popular small electric sprayer. Proven technology and design make it perfect for professionals who daily spray a wide range of coatings. With a 2.4 hp brushless DC motor and the ability to spray up to 1.2 gallons per minute, the Ultra Max II 1095 is the industry standard for the large residential and commercial contractor who sprays a wide variety of coatings. The Ultra Max II 495 features the leading technology and performance of Graco ’s larger Ultra Max II models. 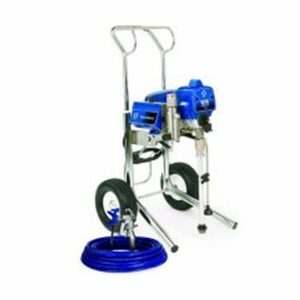 The Ultra Max II 495 is the sprayer of choice for professionals who need a higher output sprayer for daily use on residential jobs. 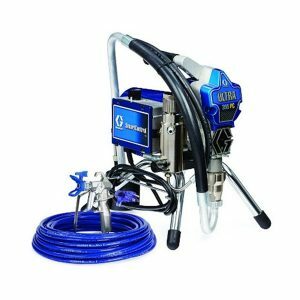 With a 2.8 hp brushless DC motor and the ability to spray up to 1.35 gallons per minute, the Ultra Max II 1595 is Graco’s largest airless electric sprayer. Because it can handle the widest range of tip sizes, longer hose lengths and heavier coatings with ease, it’s ideal for the large residential and industrial painter. With a 2.0 hp brushless DC motor, the Ultra Max II 695 is a rock-solid performer for the professional residential contractor who sprays a wide variety of coatings. It can handle a wide variety of tip sizes and has outstanding proven reliability. With a 2.2 hp brushless DC motor, the Ultra Max II 795 can handle multiple guns and is ideal for the professional residential remodeling and repainting contractor who sprays a wide variety of coatings.